Over the years, I’ve owned hard-shell kayaks, surfboards, inflatable whitewater kayaks and other watercraft. Each one served a specific purpose and claimed a chunk of my garage or basement. As my kids have grown and my interests have diversified, versatility, cost and portability have become important factors when I’m on the lookout for new outdoor gear. 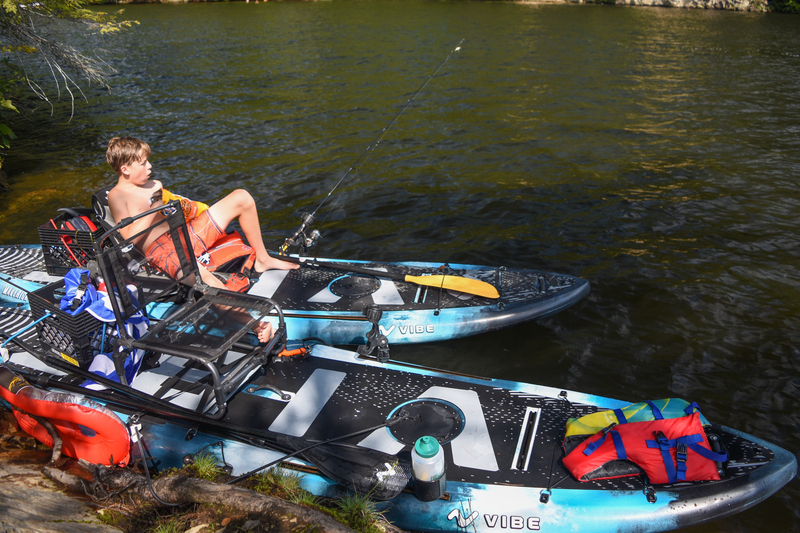 In the case of the Vibe Maverick 120 Kayak, Vibe has hit the mark on so many levels. If nothing else, the Vibe Maverick 120 is versatile–as in the Swiss Army Knife of small watercraft. Looking for a super buoyant stand up paddleboard for kids, large adults or a few people at a time? Check. How about a kayak that you can drop into just about any sizeable body of water and equip for fishing? Check. Something that costs much less than buying 2 or 3 special watercraft to fulfill the numerous functions the Vibe Maverick accomplishes? Check, check, check. Truth be told, I own two Vibe Maverick 120 kayaks and if I had a large trailer, I would consider purchasing a third. While we use our Vibe Maverick 120s all over northern New England and in the Atlantic, these kayaks (or SUPs) are perfectly at home in the warm waters of Florida or bigger rivers on the West Coast. I use this kayak for bass, striper and pike fishing and just about everything else in between. Better yet, after I purchased two of these, I was able to sell my other kayaks to free up space in my garage. I’ll get into the details below, but it’s fair to say that Vibe Maverick 120 hybrid kayak is one of the best-priced, versatile, best-looking, durable hybrid kayaks on the market. When you hit the water with one (or two) of these, you’ll definitely turn heads–be prepared to field questions. And best of all, if you purchase one or more of these for your family, it’s very likely that every person in your tribe will put it to use in their own way. 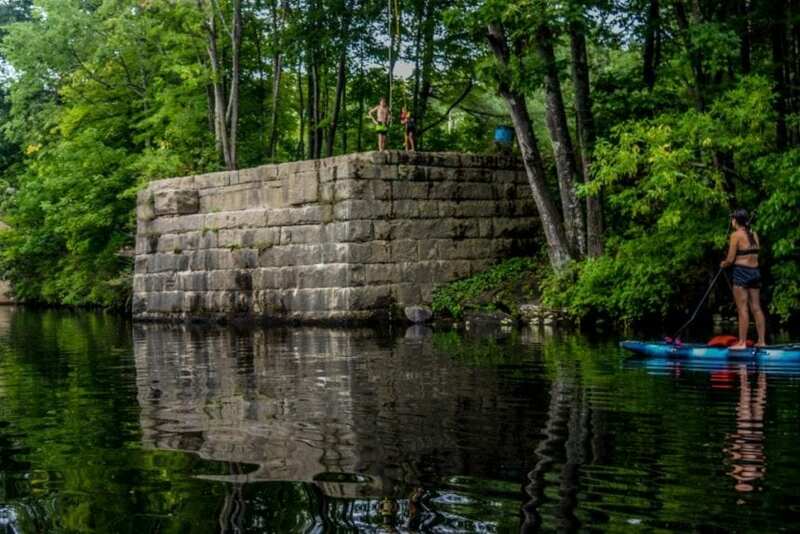 In our tribe, we often put an adult and child on a single board and undertake day-long river excursions. You could also bring a good-sized dog if he’s comfortable on the water. While that may seem like a stretch, it’s not an exaggeration to say we have plenty of extra room for each paddler even after gearing up the kayaks with our favorite accessories. On a typical outing, we have a chair, a few milk cartons on the back, SUP (and kayak) paddles, some fishing pole holders (with poles), a waterproof bluetooth speaker (JBL Clip 2 is our favorite, water bottles, PFDs (we like the Astral), bungee cords, our lunches and a small pile of fishing gear organized in small tackle boxes. The from flat deck is spacious enough for a child to relax while an adult sits in the back paddling. 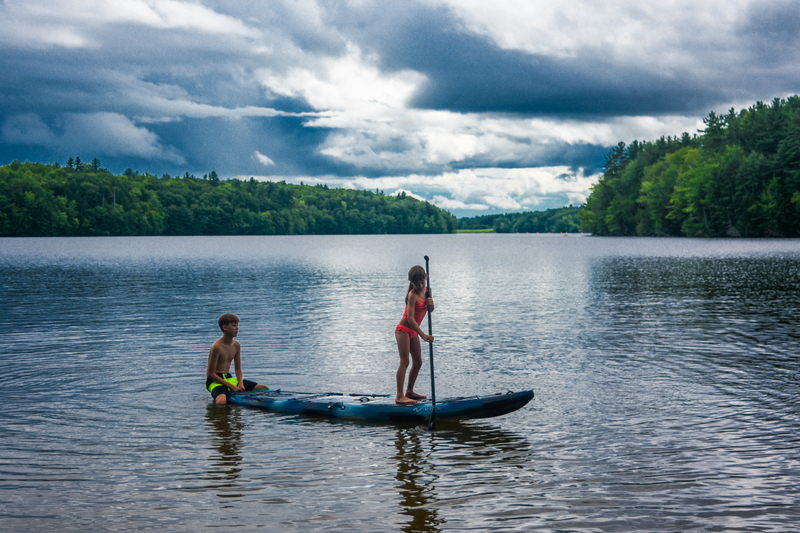 In some cases, we paddle along with one of our kids who sits in front or back of us–it almost doesn’t matter. It’s hard to believe these kayaks are that buoyant, but we’ve stress tested these in lots of different conditions and have yet to tip one. Vibe, the manufacturer of the Maverick 120, is a fast-growing company based in Georgia. While they don’t have a lot of marketing content up yet about the Maverick 120, they’ve released a solid video (see below) that showcases the Maverick 120’s features. Purchasing a Vibe Maverick 120 is just the beginning of your boating journey if you’re serious about kayaking. In fact, many consider rigging both a science and an art since there are a hundred different ways to outfit your kayak. 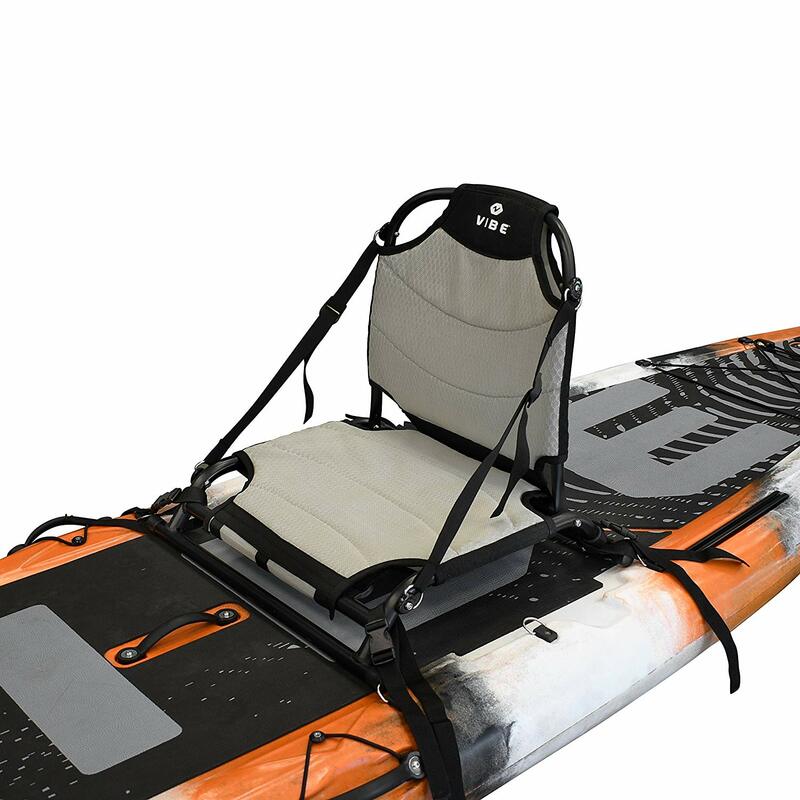 If you purchase the standard Vibe Maverick Kayak package, you will have already made one choice regarding your accessories since the package comes with a Roamer paddle. Thankfully, or perhaps dangerously (for your pocket book), the Vibe’s flat deck, tie down rings and gear rails beg for accessories to grace your hybrid watercraft. The first accessory you’ll need to consider is whether or not you’d like to purchase a seat. Aside from using a cooler or some other box-shaped object, there are a few Vibe-sourced seats that fit well on your deck. The first is the Vibe Hero Seat. The Vibe Hero Seat is lower to the deck and allows you to maintain a lower center of gravity. When we’ve tested this seat, we’ve enjoyed the seat straps that allow you to adjust the incline or angle of the seats. We own the Vibe Hero Seat and find the low-profile design helpful on windy days when sitting low helps reduce wind drag and shortens the distance between your paddle and the water. Overall, it’s a relatively sturdy chair that folds up nicely and packs/unpacks with little effort. The Vibe Larry Chair is another Vibe chair that can be used on the deck of a Maverick 120. It’s a little bigger than the Hero Seat and definitely sits higher than the Hero Seat. 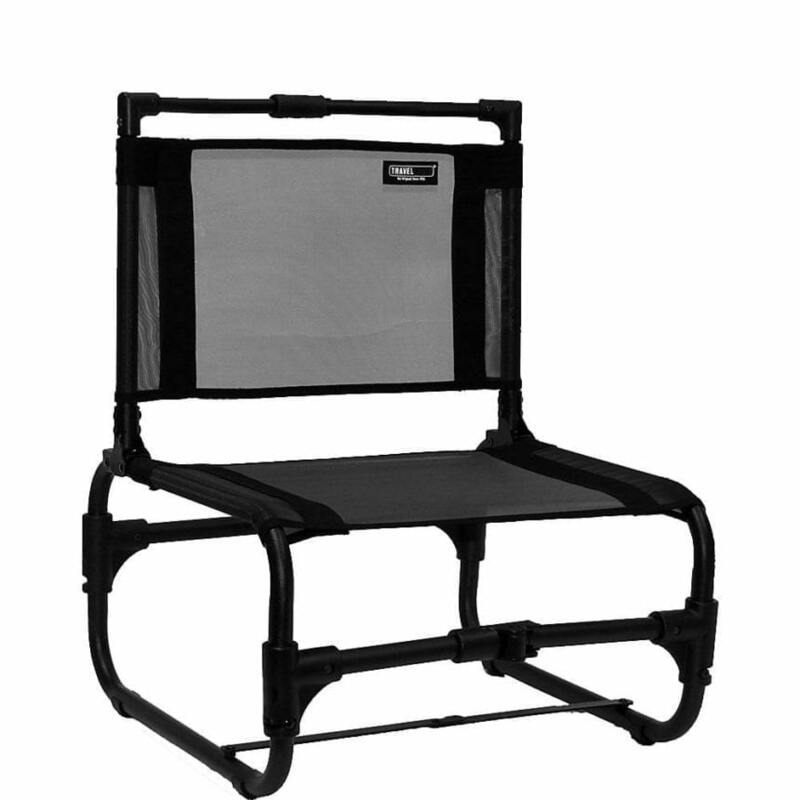 While we’re not overly enthusiastic with the folding arms that at times pop out of position, like the Maverick 120, this chair is versatile and can be used for sitting on the river bank or as a camping chair. While it doesn’t feel as sturdy as the Hero Seat, it’s performed well for us over a summer and appears to be holding strong. On a day where I know I will be fishing, I prefer the Larry Chair over the Hero Chair so I’m able to cast from a slightly higher position and more quickly move from sitting to standing when needed. Like the Hero Seat, it does break down for transport and is relatively light. Another option is to use your Vibe Element Cooler 20Q as a seat. Even though you may need a cushion or something to soften the surface of the cooler (check out Marine Mat padding), you’ll be sitting even higher than the Larry Chair. We don’t own this cooler, but its reviews are extremely high and it’s definitely a sharp-looking piece of equipment. There are a few different ways you can strap your seats or coolers (and milk crates) down to your kayak. We use standard bungee cords (I highly recommend this SmartStrap value pack of different sized flat bungee cords with plastic handles) for our milk crates and coolers. The plastic hooks and flat bungee design of the SmartStrap bungee cords will minimize scratching and simplify securing items to your kayak. For securing seats, I prefer the Vibe Tie Down Straps. When using the tie down straps to secure the seats, you’ll be able to secure each corner of your chair flush to the deck. After you\’ve placed your chair to your liking, you can crank down on the strap so that it\’s secure. The force of the straps doesn\’t seem to cause any issues with the foam deck padding. Although the Maverick comes equipped with a shallow 8” hatch perfect for car keys, wallet, phone, etc., you’ll need to make sure sure that whatever you put in the hatch is protected with a small waterproof bag since the hatch is definitely not waterproof. 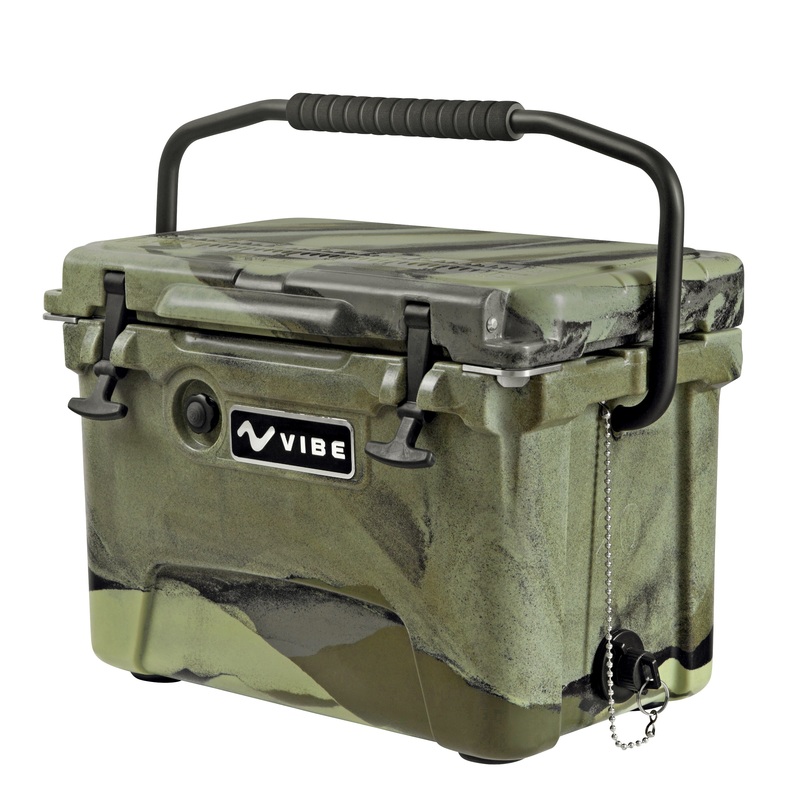 Vibe has a great starter milk crate that comes with rod holders and rod leashes, but we prefer the Yak Gear crate. 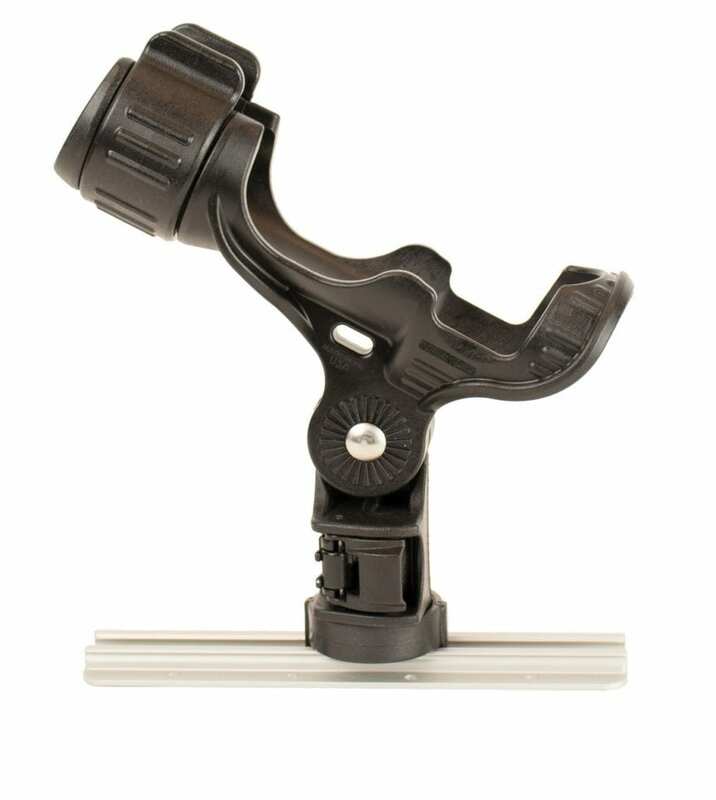 YakAttack makes vertical tie down track accessories that can be used to secure items using one of the 5 flush mount tracks that come standard on the Maverick 120. We use a few of these for this purpose. They can also be thrown into the hatch when not in use. The flat deck of the Maverick 120 also allows you to store any number of different items. If you\’re a little skittish about landing the big one without a net, you might consider the Yak Attack Landing Net. If you\’re keen on preserving your tackle and keeping it organized while on the water, you may also want to check out the YakGear accessory pouches that attach nicely to the milk crate or Larry Chair. And don\’t forget your fishing poles! While there are a lot of different options for securing your fishing poles to your kayak, we prefer the YakAttack Omega Rod Holder. The mechanism to lock this to your gear track is well designed. and they feel like they will last into the distant future. 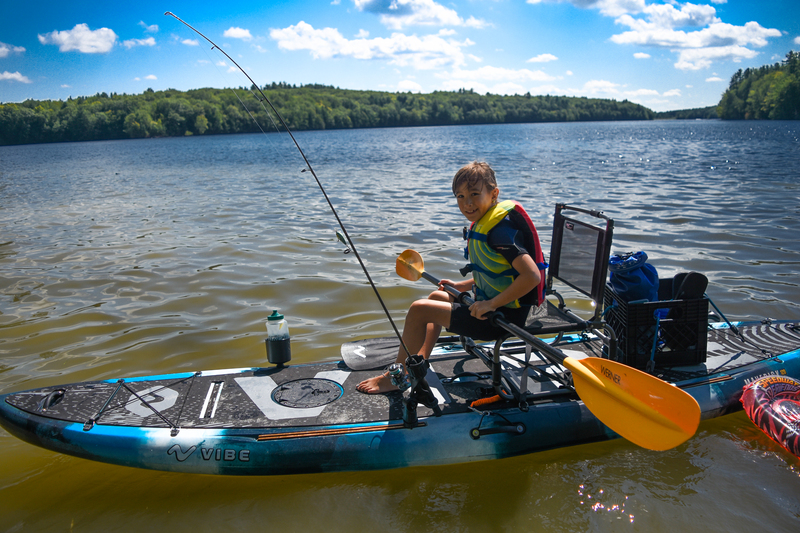 Even though it may seem like you’ve overloaded down your Maverick 120 with gear, there are still so many different ways you can outfit your kayak to suit your purposes. Items such as camera mounts, rod holders, stand up assist bars and even transducer mounts can be outfitted on the Maverick 120 using the 5 flush mount gear tracks located along the sides and the bow. Once you get your fishing crate set up with a pouch and straps, don’t forget to tether down your rod, pliers and other essentials. Before tethering down my gear, I lost a pair of glasses and a rod. While I wouldn’t have been able to tether my glasses, the lesson learned what to have a place for everything you bring on board–at all times. Not surprisingly, YakAttack comes to the rescue once again and offers a YakAttack retractor to secure your tools. 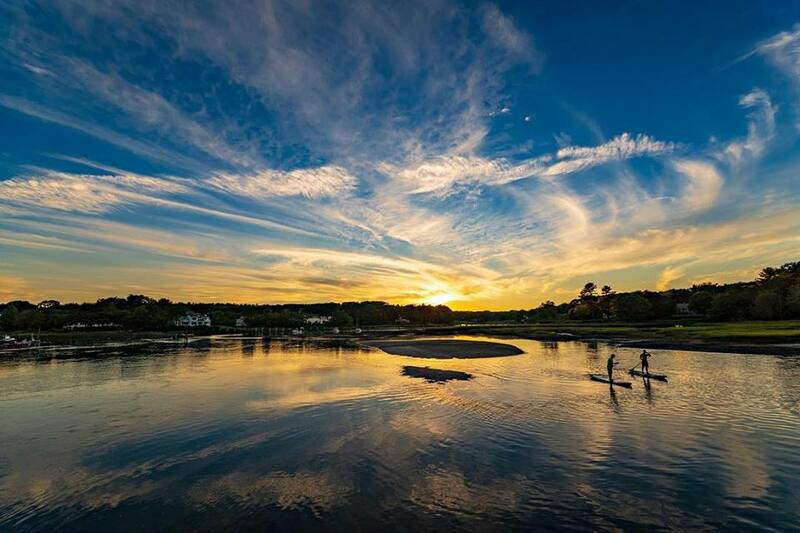 If you were wondering, the photo below is an actual snapshot of my two cousins using my Vibe Maverick 120 Kayaks at Cape Neddick Beach in York, Maine.